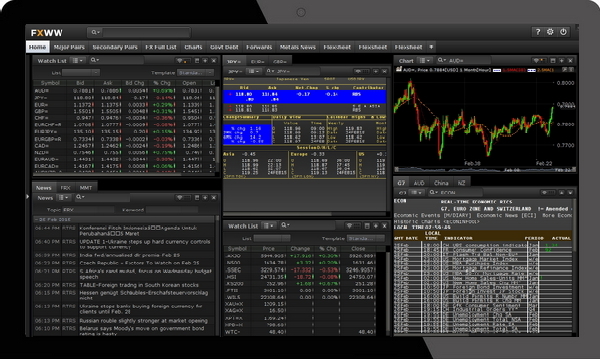 FXWW has put all the important information that FX traders need on a daily basis in an easy-to-use web portal. Once you’ve seen this, you will realise the huge advantage that institutional traders have had for many decades. Non-stop news will help you feel the market pulse! 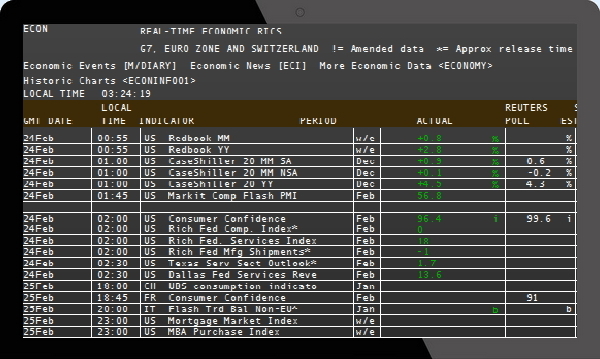 Live economic data releases! All on a customisable interface. Feel the market pulse through trustworthy, timely and accurate news reporting. Traders need to stay constantly well informed. News streamed in multiple languages. well-informed and in control. 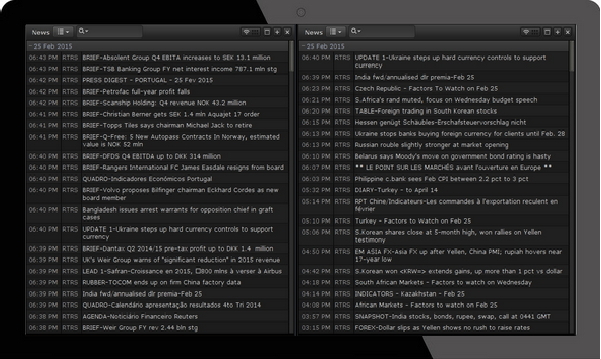 Link your watch-list to your charts to news headlines! 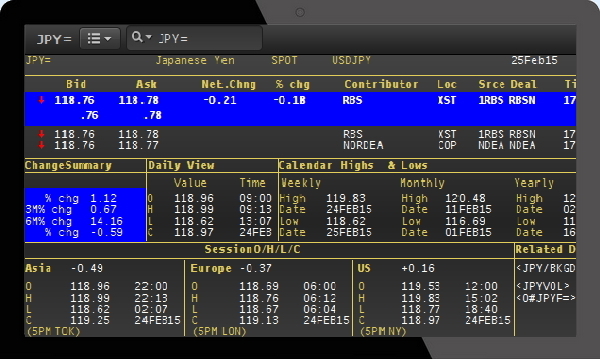 Customise your interface to suit your trading style. Reuters FX have been the definitive source of market highs and lows for decades. There is no absolute guarantee in the FX market but the Reuters FX parameters are the closest thing you’ll get. This hard-to-find information is now only 1 click away. 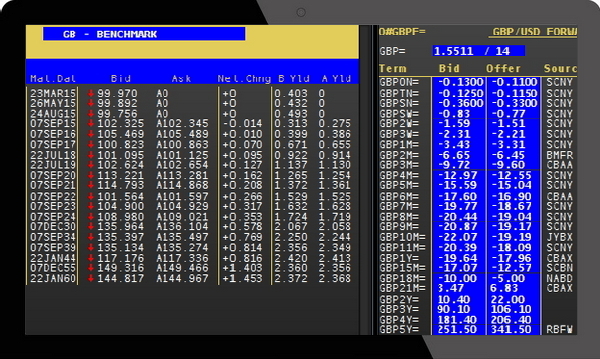 Interest rates, Forwards, Government Debt and spot rates for every currency under the sun!